Daily Briefing, Feb 11 – UK’s GDP in Play, How to Trade GBP/USD? Good morning and welcome back to another thrilling week. The market is most likely to determine trends based upon fundamental releases. Speaking of the US dollar, it traded near a six-week high against a basket of currencies over concerns that the US-Sino trade tensions aren’t lightening. Moreover, the slowdown in global economic growth is keeping the haven assets in demand. On the fundamentals front, we have GDP, Prelim GDP and Manufacturing Production from the United Kingdom. Who’s up for trading the GBP/USD Today? At 9:30 (GMT), the Office for National Statistics is set to announce fourth-quarter GDP growth of the United Kingdom. It’s released monthly, about 40 days after the month ends. The data is expected to show a 0.0% growth, less than 0.2% growth in the past. Well, this can be due to falling crude oil prices and increased uncertainties over Brexit. Moreover, the GDP is likely to follow alarming PMI surveys for the manufacturing, construction and services sectors which showed some risk aversion among the British corporate sector ahead of Brexit. Particularly, following the downbeat inflationary estimate by Mark Carney & team, we can expect a decline in GDP figure. Fellas, we have 2 versions of quarterly GDP released about 45 days apart – Preliminary and Final. The Preliminary release is the earliest and thus tends to have the most impact. It’s a quarterly figure and typically places a stronger impact on Sterling. The prelim GDP is forecast to plunged from 0.3% to 0.6%, forming sentiments that BOE won’t hike the interest rates, especially when economic growth is vulnerable. The manufacturing production and trade balance numbers will release at the same time. The manufacturing production is forecast to rise by 0.2% vs. –0.3% previously. While the trade balance is expected to carry the same deficit figure of 12.0B. Summing up, the economic events aren’t in favor of British Pound and may bring bearish impact on the market. However, a slight positive divergence in the data can cause a huge bullish movement in the Cable. During the Asian session, the GBP/USD trades bearish at $1.2933, down nearly -0.11% for the day. Looks like traders are pricing in the weaker than expected GDP figures. 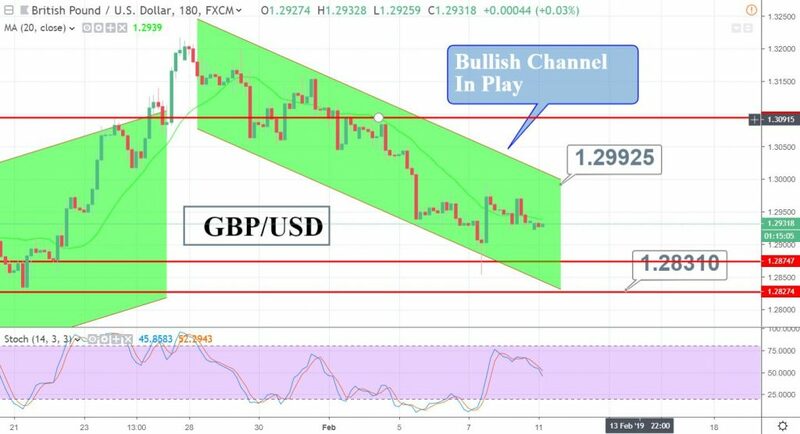 On the 3 hour chart, the GBP/USD is trading in a bearish channel which is supporting the pair above $1.2875 and resistance near $1.2985. The leading indicators are steady above 50, suggesting a bullish bias of traders. How to trade GDP figures today? Positive GDP – In the case of positive GDP, Sterling can trade towards $1.3050 and 1.3095. 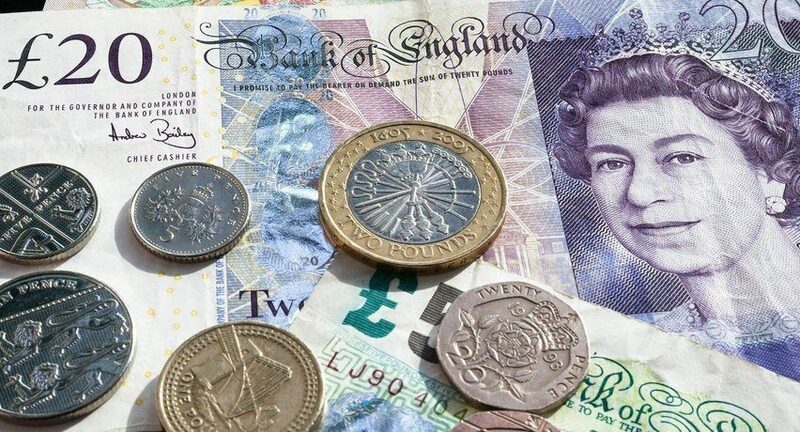 Negative GDP – On the flip side, weaker GDP can push the GBP/USD deeper towards 1.2875 and 1.2825. Brace yourself and stay tuned to FX Leaders for more updates!